Farmington Valley's ONLY No-Appointment Oil Change & Repair Center! 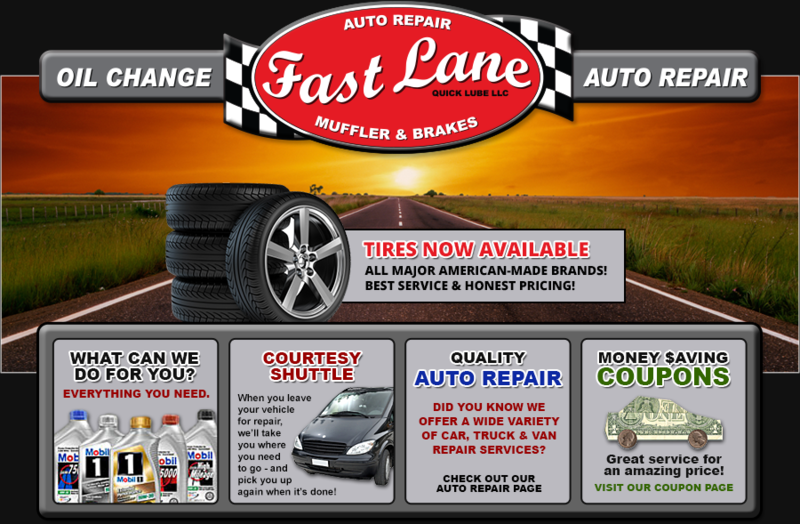 Fast Lane Quick Lube, LLC is your trusted hometown source for complete Mobil oil change services and quality auto repair - at valuable and honest prices. As the friendly neighborhood shop, we take pride in being an owner-operator and family run business. We are ASE certified mechanics, and the car business is our only business. We're your total car maintenance and repair connection. We'll have you saying "who needs the dealer!?" after your first visit. Serving Canton, Avon and Simsbury, our no-appointment drive-thru oil change service is the only one like it in the Farmington Valley. We don't take your car behind closed doors - while you're waiting, enjoying free hot coffee, you can watch your car expertly serviced through the large picture window in our waiting room. We also specialize in lift service - not pit service - all repairs and oil changes take place right before your eyes. Please visit our products and services page, or print out some valuable coupons for your next visit. We're always only a phone call or a visit away. © 2019 Fast Lane Quick Lube, LLC. All Rights Reserved.